JUnit 5 brings a lot of improvements in the assertions library, mainly thanks to Java 8 and Lambda Expression support and thanks to the presence of the new assertions like assertAll, assertTimeout orassertThrows. Although I really like JUnit 5 I believe that AssertJ is still a must in production grade unit tests and I will continue using it. But I think there are potential scenarios of mixing both JUnit 5 and AssertJ in single unit test: one of them is mixing JUnit assertAll with AssertJ assertThat. Spring 5 GA got released so I released the new version of Spring MVC Archetype. Lombok is not a new thing in a Java ecosystem, but I must admit I always underestimated its value until I tried it or I was “convienced” to try it. I did not see much value in adding a library that generates code that can be easily generated by any modern IDE these days. So I ignored the library and I have been writing or generating tons of boilerplate code. Not anymore. In 2016 I joined a Spring-based project where project Lombok was already in place. And since then I can’t work without Lombok anymore… Why? Remote debugging a Java application means connecting to the remotely running application using your local development environment. Java supports remote debugging out of the box: the target application must be executed with -agentlib:jdwp[=options] option which loads Java Debug Wire Protocol (jdwp) library that allows remote debugging using for example socket connection. In this short article you will learn how to get started with debugging web application deployed to Wildfly server by using IntelliJ. The general idea of parameterized unit tests is to run the same test method for different data. Creating parameterized tests in JUnit 4 is far from being perfect. There are many issues with the existing architecture: parameters are defined as class fields and constructor is needed to create them, parameterized and non-parameterized tests cannot be mixed in one test class and built-in data sources are very limited. Fortunately, all of this is improved in JUnit 5! JUnit 5 brought pretty awesome improvements and it differs a lot from its predecessor. JUnit 5 requires Java 8 at runtime hence Lambda expressions can be used in tests, especially in assertions. One of those assertions is perfectly suited for testing exceptions. Thymeleaf 3 improved Standard Layout System so that creating layouts is more flexible as ever before. 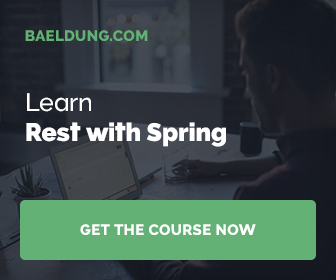 Spring Boot Actuator provides auditing capabilities for publishing and listening to security related events in a Spring Boot application with Spring Security enabled. The default events are authentication success, authentication failure and access denied, but they can be extended with custom events. Text ((org.thymeleaf.templatemode.TemplateMode#TEXT)) templates in Thymeleaf allow creating templates with no markup. Such templates can be used to genere non-HTML content like e.g. source code, markdown files or text emails. See how easy it is to utilize text templates with Thymeleaf. As of Spring Boot 1.5 a new loggers actuator endpoint allows viewing and changing application logging levels in runtime.